Shrubs which colour beautifully in the autumn and winter months are worth their weight in gold - or should that be 'red'? 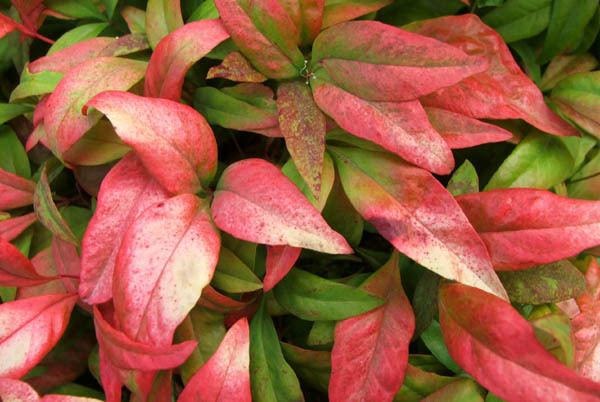 The ornamental shrub called 'Nandina' is one such. In my garden Nandina is extremely well-behaved. It may have the common name 'heavenly Bamboo' but there's nothing remotely invasive about its behaviour (for me, that is). I believe I've got two different sized varieties. One is head-high (with red berries), while the other is a dome of foliage and comes up to my knees. I've deliberately planted both types of Nandina in the new Shrubbery, so I can see them from the house. Winter colour is so welcome! 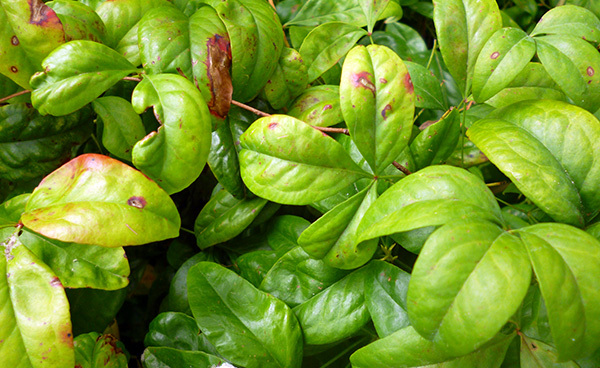 In some parts of the USA I believe Nandina does cause a problem. But of course good gardeners always know what's good for them in their particular environment.